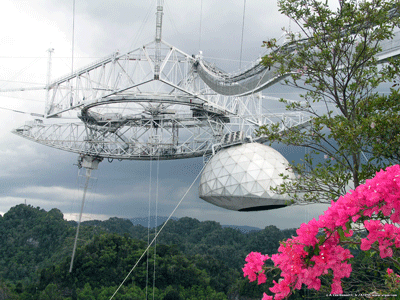 As part of the Technical Program for the IEEE AP-S/URSI 2016 symposium, two private technical tours to the Arecibo Observatory are being offered on Tuesday, 28 June and Friday, 1 July, the site of the world's largest single-dish radio telescope. Limited registration for these tours, approximately 40 attendees per tour, will be available as symposium registration opens on or about March 1, 2016. The fee for the tour is $65 per person, inclusive of roundtrip transportation from the El Conquistador Resort. This is a four-part guided tour including a visit to the control and transmission rooms, the new HF facility, and a VIP area on the side of the dish. A light lunch onsite at the Visitor Center is included, as well as a self-guided tour of the Visitor Center. Please note that this is a full-day event, as the Observatory is three hours from the El Conquistador (07:00 departure; 17:00 return). Comfortable, casual clothes are recommended, as well as rubber-soled shoes, such as running shoes or sneakers. As you will be outdoors for part of the tour, sunscreen, sunglasses and a hat are recommended, too. Bottled water will be provided on the bus. The Observatory is recognized as one of the most important national centers for research in radio astronomy, planetary radar and terrestrial aeronomy. Use of the Arecibo Observatory is available on an equal, competitive basis to all scientists from throughout the world. Observing time is granted on the basis of the most promising research as ascertained by a panel of independent referees who review the proposals sent to the Observatory by interested scientists. Every year about 200 scientists visit the Observatory facilities to pursue their research project, and numerous students perform observations that lead to their master and doctoral dissertations. 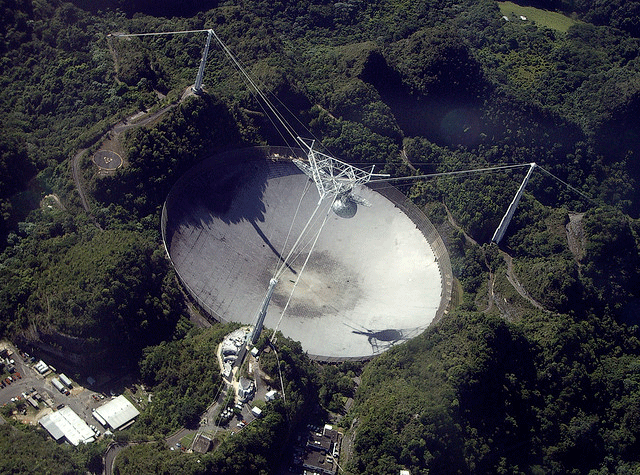 For more information on Arecibo, its history, research areas, and the soon-to-be-redesigned Angel Ramos Foundation Science and Visitor Center, please visit the Arecibo home page at http://www.naic.edu/general.